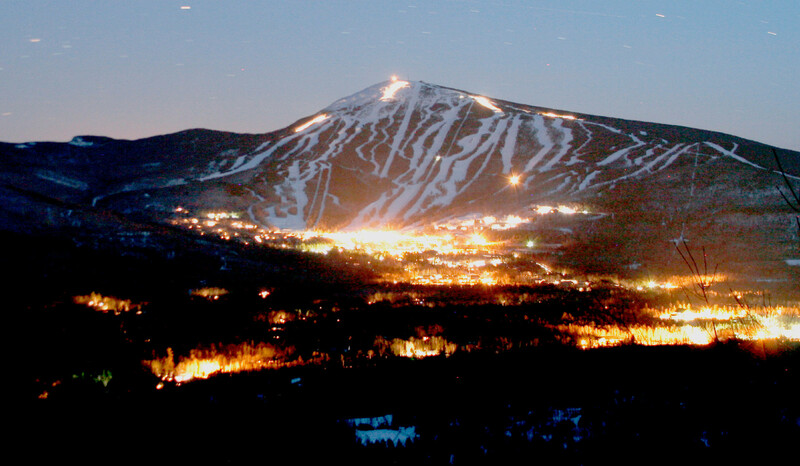 Surrounded by Maine’s Western Mountains in the heart of the Carrabassett Valley, Sugarloaf offers the only lift-serviced above treeline skiing in the East. Offering 1,230 skier and rider accessible acres and a continuous 2,820ft vertical, Sugarloaf is Maine’s second highest peak. The annual snowfall totals 200 inches and 14 lifts provide access to 161 trails and glades and 3 progressive terrain parks. Ski shop, teen center, grocery, boutique, bank, chapel, spa, and laundromat at the area. First aid building on the mountain. Child care available. Glades - 11 percent of the terrain. The entire mountain is open to both skiers and snowboarders. Many restaurants, ski and snowboard shops, health clubs, and an art gallery close by. Snowmaking on 618 acres.